Legendary musician, Majek Fashek talks about his career, family and the N100m lawsuit he was planning to file against Timi Dakolo over his song ‘Send Down The Rain‘ in a recent interview with PUNCH. 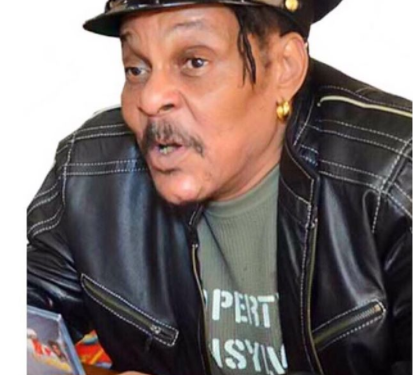 What major change would we be seeing in Majek Fashek? The change is that Majek Fashek is born again. I believe in Jesus Christ and you will see that in my new music. When one is born again, it means old things have passed away. I’m not interested in women, drugs, alcohol and other things like that. I’m only going to be concentrating on making good music for my fans. Would you be doing gospel music? My music is timeless and that’s why I’m a star in America. To make good music, it has to be timeless. I do not fit into any particular genre of music and it is God that gave me that gift. The music industry now is populated by young boys and I’m happy about that. But some people believe you were not able to break into the American market, what do you have to say about that? Majek Fashek is the number one musician in the whole Africa of all time to have broken into the American market. If you go to San Francisco, you will see my name written boldly in their hall of fame. I was on the David Letterman Show and that is one of the biggest platforms in America that has played host to great people like Barack Obama, Bill Clinton, among others. In America, they have a structure of classifying stars from superstar to megastar and legend. I am classified as a legend with people like Bob Marley, Whitney Houston, among others. I am not a social media musician. In 1987, there was only one TV station in Nigeria but my music was able to blow over to the US. It is not like these days when you can just record a video on social media, and people will see it all over the world immediately. In those days, Lucky Dube would open shows for me. I also went on an American tour with great musicians like Jimmy Cliff, among others. I was featured in New York Times and other A-list media; and all these information are on the Internet for you to confirm. Till date, no other African musician has been able to do that. One of my songs, I am not Afraid, has been sampled by over 200 American musicians including Bono. I used to be very good friends with Michael Jackson and that is why I named my last child, Michael. Will you still be doing Pangolo music which you claimed to have created? Just like Fela created Afrobeat, I created Pangolo music, which is what these young artistes are doing now. Do you have plans to work with any of the reigning young artistes? I have already recorded a song with 2face Idibia titled No More Sorrow and it is enjoying favourable airplay. The video for the song would be released later this year. However, for the Weep not Children album, it would be all about Majek. For now, we would put a hold on featuring other artistes. Immediately after this album is released, I have plans of going back into production, and I would be working with other artistes. We would also be signing on new artistes to our label. We are taking things a step at a time. I will rather not talk about that. My family life is private. 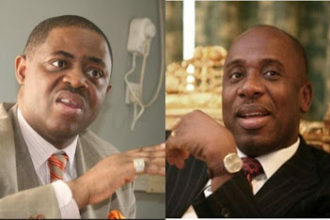 What actually caused the downward spiral in Majek’s life and career years back? All human beings experience ups and downs; it is part of life. What measures have been put in place to make sure you don’t have a relapse? There is nothing like relapse. I keep saying it that my problem was never about drugs though I smoked marijuana back in the days. Anybody can also drink and be tipsy; it is not a crime anywhere in the world. My problem was more spiritual. My problem started when I first returned to Nigeria from America. I came into the country with lots of money and equipment then and I started having issues.